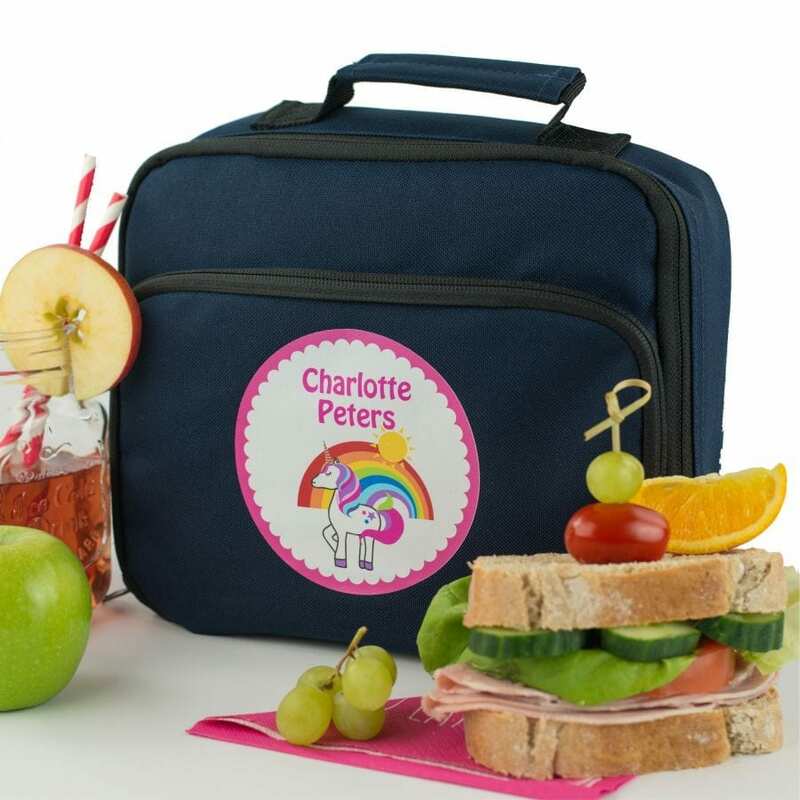 We think you will find this personalised unicorn lunch bag makes the perfect gift for any girl starting school this year. After all who doesn't love unicorns? Name it labels range of lunch bags come in a choice of 4 bag colours to choose from, black, navy, sky blue or classic pink. 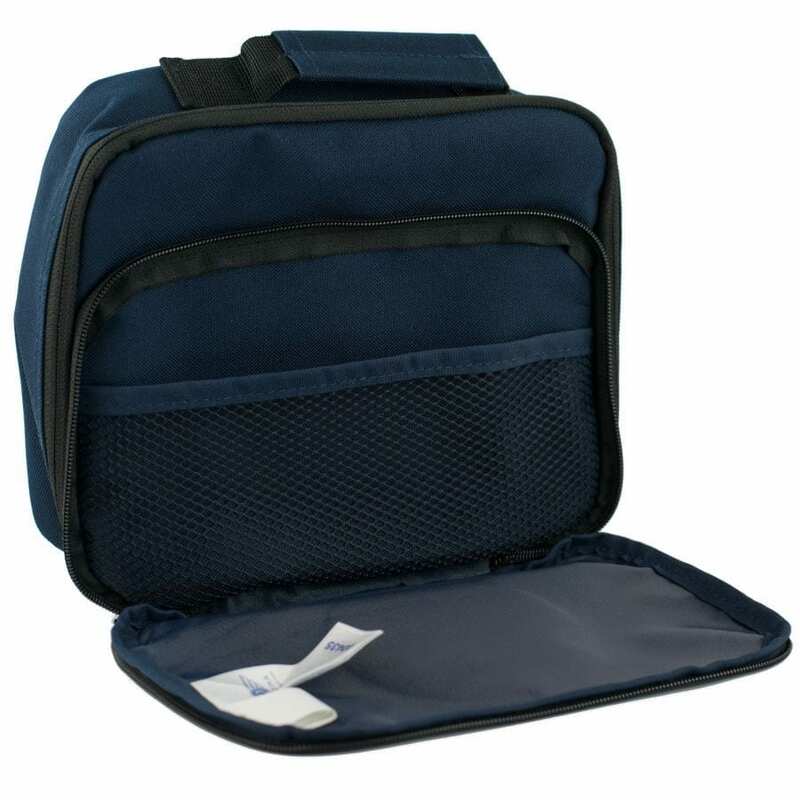 The lunch bag is fully insulated and features a main zippered compartment and a front exterior pocket compartment. The unicorn lunch bag is made from 600 D polyester, customers can be confident it is strong and long lasting. As you would expect the lunch bag has a wipe clean interior for any spills the little darlings may have. 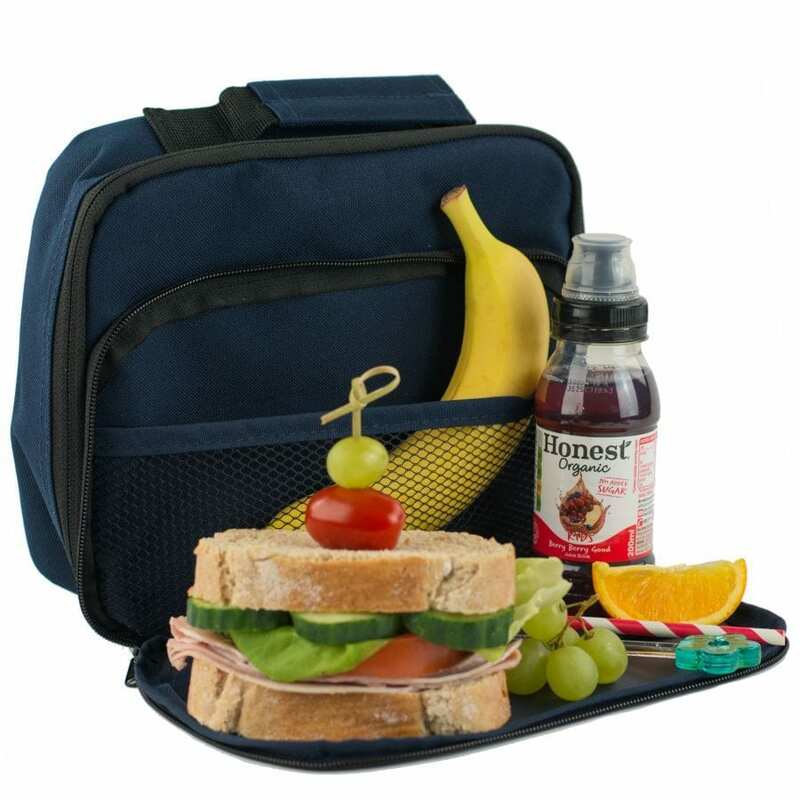 The handy grab handle at the top of the lunch bag is perfect for children to carry to and from school and hang in the classroom. Measuring 24 x 20 x 8 cm makes this lunch bag a really practical and spacious. It can even accommodate our 600 ml drink bottles and still leave room for a sandwich and some snacks. All our lunch bags come with a choice of unique and original design options. The unicorn design is the latest addition to the name it labels range and is bursting with colour and vibrancy. Available in a choice of background colours, which sits on top of a crisp white inner circle with your chosen name will be printed in the same colour as your background circle. This ensures that the printed name is as clear as possible for to see. We individually hand print our lunch bags. All you have to do is choose your favourite lunch bag colour and then choose your design. Further more we do not impose a maximum character restriction and we can even print accents. Please note that the longer then name the smaller the print will be. A personalised lunch bag makes the ideal personalised gift for back to school, or indeed birthdays. 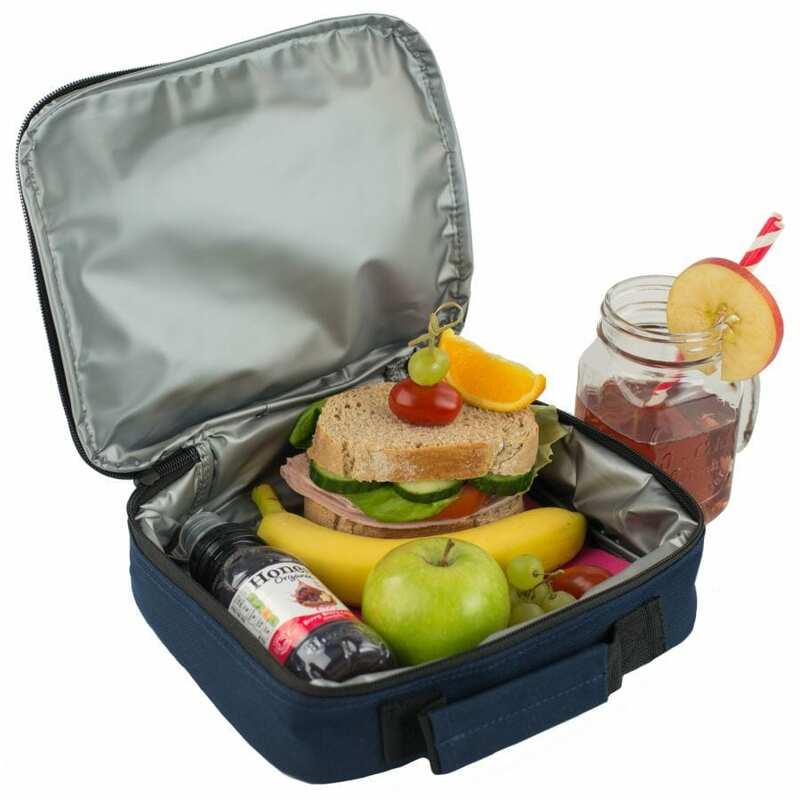 Use school or nursery lunches, on day trips or as a snack box for extra curriculum activities. Bespoke orders can be taken upon request.